Growth Is The Only Evidence of Life, Change And Grow Or Die! Growth is Optional, Coincidental or Intentional, but Never Accidental! How 15 minutes a day of thoughtfulness can bridge the gap between average and exceptional in your personal, professional and business life. Garry M. Spotts began speaking publicly March 28, 1976 when he delivered his first presentation to an audience of 150 adults as a newly minted 15-year-old minister. 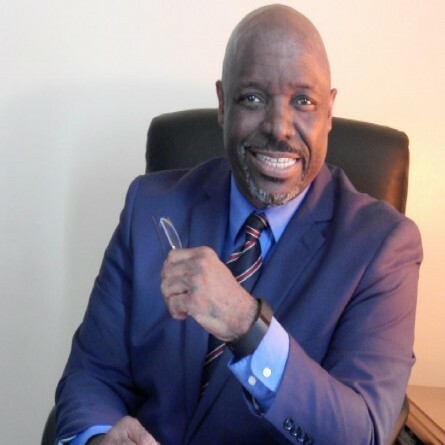 In the 40+ years since, he has distinguished himself as a personable, dynamic and engaging speaker, teacher and trainer informing and inspiring 1,000's listeners across the spectrum of generations, professions and educational levels in public presentations, written, recorded and in two radio broadcast programs. a consultant and professional mentor for existing and aspiring business owners, non-profit and faith-based organizations and their leadership. Garry can craft the topic you need and deliver the talk you want to inspire and to ignite your audience. Educated in the public schools of Louisville, KY his childhood and current home, he is a 1982 graduate of the University of Kentucky, Grehan School of Journalism and a 1987 Master of Divinity graduate of the Southern Baptist Theological Seminary. Married to his college sweetheart, Annette Carlisle-Spotts, Garry is the father of 3 adult children Ms. Jessica Carlisle, The late Gyasi M. Spotts and Ms. Shukura Y. Spotts and the proud grandparent of two grandsons. Find out more about Garry M.Spotts at https://www.garrymspotts.com.